Donald Trump, from the presidential portrait series. 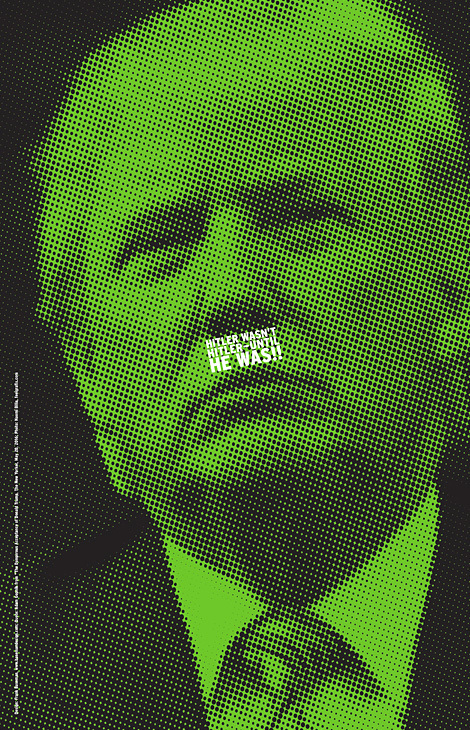 Poster created to serve as a dire warning of the dangers of Donald Trump as U.S. president. The Adam Gopnik quote is from an article published in The New Yorker Magazine.